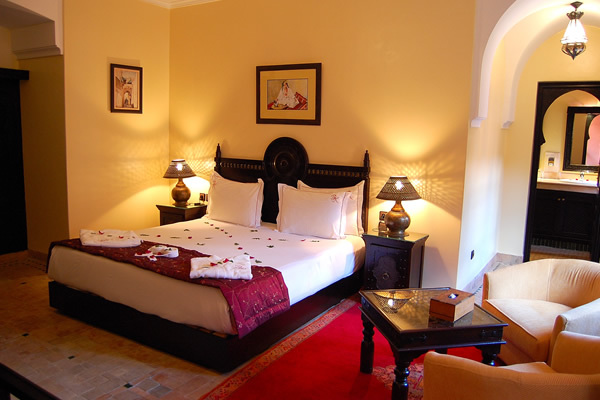 Situated in the Kasbah, 200 yds from the Royal Palace, the spacious, 18 roomed ‘Borjs de la Kasbah’ combines the authentic character and charm of a traditional Moroccan riad with the intimate atmosphere, facilities and comforts of a luxury hotel. 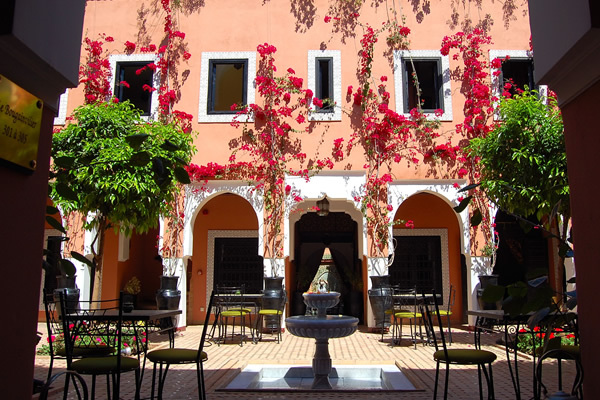 Created from a large riad and six smaller ‘dars’, the hotel is arranged around four tranquil courtyards where orange trees and bougainvillea fill the air, not least in the leisure area with its 10m pool and spa. 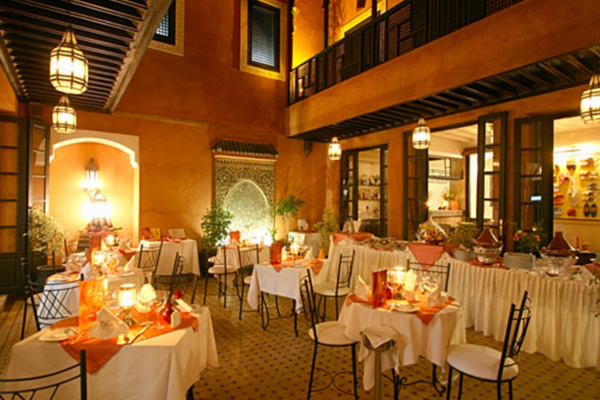 The “Le Jasmin” restaurant provides a generous buffet breakfast with omelettes and pancakes made to order and sumptuous dinners of French inspired Moroccan cuisine. 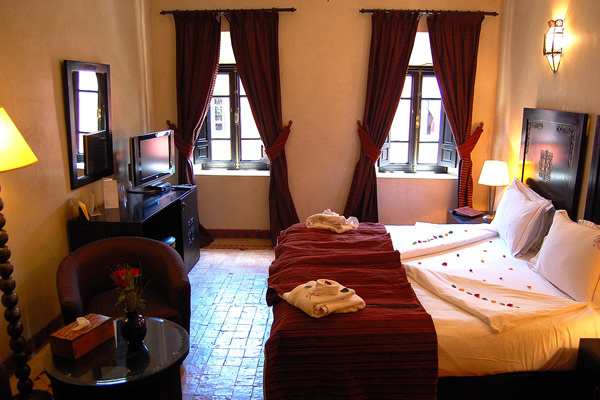 All 18 en-suite bedrooms feature free Wifi, air conditioning, safe, mini bar, widescreen TV with satellite channels and a hairdryer. 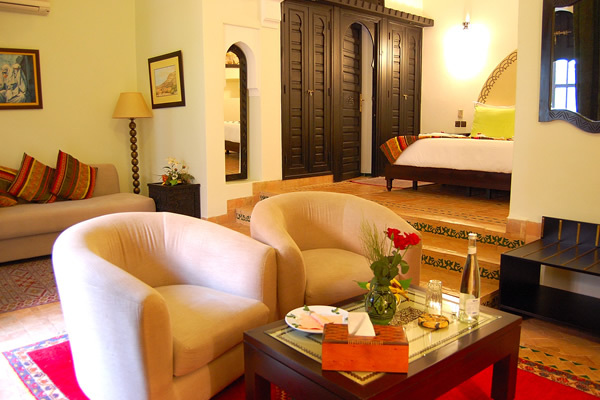 All rooms have a view of one of the 4 courtyards.